1852 Birth of Charles Taze Russell, founder of the Jehovah's Witnesses. 1867 Russell joins a Congregational Church at the age of 15 (his parents were Presbyterians). 1869 Russell becomes an agnostic. 1870 Russell regains his faith and becomes very interested in the Bible after attending a Second Adventist Bible study. 1872 Charles Taze Russell founds the International Bible Students Association in Pittsburgh, Pennsylvania. 1874 Year designated by Charles Taze Russell as the year of Christ's invisible return (with the visible return to occur in 1914). 1877 Russell co-writes and publishes Three Worlds and the Harvest of This World. 1879 Russell begings publishing the Zion's Watch Tower and Herald of Christ's Presence magazine. 1881 Zion's Watch Tower Tract Society established as an unincorporated body (incorporated in 1884). 1886 Russell begings writing Studies in the Scriptures, which came to be considered second only to the Bible in importance. 1908 Russell moves headquarters from Pittsburgh to New York. 1914 Year designated by Russell for Christ's visible second coming. 1916 Russell dies and is succeeded by "Judge" Joseph Franklin Rutherford (1869-1942). Rutherford was not chosen by Russell and is elected amid some controversy. 1925 Year predicted by Rutherford as the year Abraham, Isaac, Jacob, and the prophets would return to earth. 1931 Judge Rutherford adopts the name "Jehovah's Witnesses" for the group, based on Isaiah 43:10. 1942 Rutherford dies and is succeeded by Nathan Homer Knorr (1905-77). 1975 Year predicted for Armageddon, based on calculation of Adam's creation (determined to be 4026 BC) plus 6,000 years. But Watchtowers leading up to that year warn that no one can predict "the day or hour" with certainty. 1977 Death of Knorr, who was succeeded by Frederick Franz. Franz explained the uneventful 1975 by noting that perhaps Eve was created several months or years after Adam, and Armageddon would occur 6000 years from that date. 1993 Milton Henschel succeeded Franz. "Jehovah's Witness," Merriam-Webster's Encyclopedia of World Religions (1999). "History of the Jehovah's Witnesses," Catholic Answers. Julia Neubauer, "Jehovah's Witnesses," Religious Movements Homepage, University of Virginia (2001). B.J. Kotwell, "WTS Falsifies Its History," Watchtower Information Services. M. James Penton. 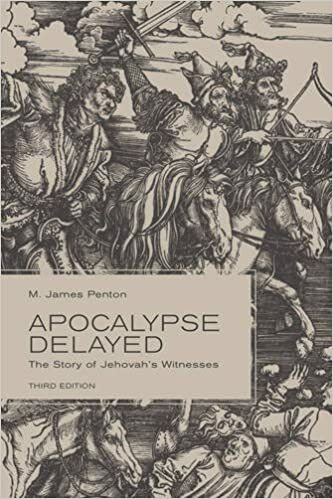 Apocalypse Delayed: The Story of Jehovah's Witnesses, Third Edition. University of Toronto Press, Scholarly Publishing Division, 2015. Reynaud, Michel; Graffard, Sylvie. 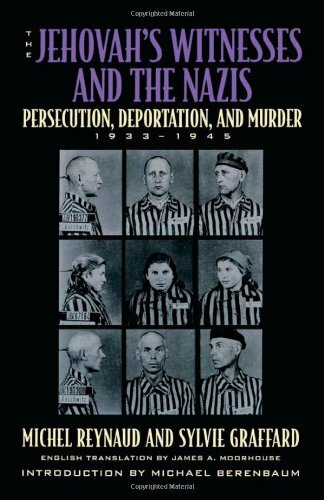 The Jehovah's Witnesses and the Nazis: Persecution, Deportation, and Murder, 1933-1945. .